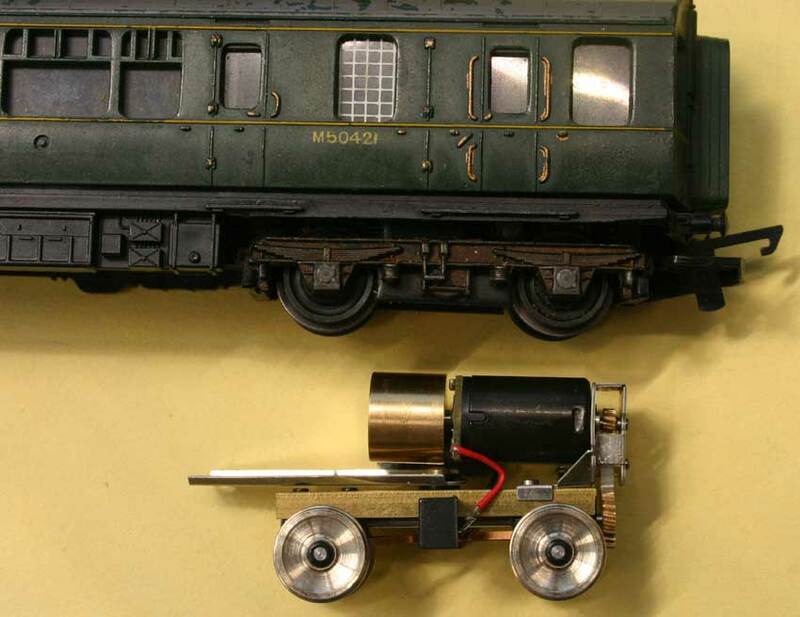 Triang DMU replacement 2 axle TT gauge Motor Bogie 27.5mm centres. It is designed to be fixed by 2 screw bolts provided to the DMU floor. You need to cut away the Triang bogie sides with a cutting disc to replace with this motor bogie.